Advanced technologies like artificial intelligence and holoportation can help boards improve their decision-making and tap far-flung talent. As technology advances, corporate boards around the world are not sitting idle hoping for the best. Forty-seven percent of CEOs are being challenged by their board of directors to make progress in digital business, according to a 2017 global Gartner survey. This is not just about high-tech firms. Any company can use business intelligence and analytics tools to understand the political, economic and regulatory challenges it may face, he says. Guruduth S. Banavar, vice president of cognitive computing at IBM, agrees. In a recent speech at IESE Business School, he said that if there were a suite of artificial intelligence (AI) tools—such as IBM’s Watson—embedded in the boardroom while executives were looking at possibilities for new acquisitions, for example, the AI suite could run through databases to find companies that fit very specific criteria, such as a particular corporate structure or profit margin. The suite could then identify the top prospects and compare them side by side before making a recommendation. Deep Knowledge Ventures (DKV) has taken this concept and made it a reality. When the Hong Kong-based life sciences venture capital firm considers which startups to invest in, the board turns to one board member in particular: VITAL (Validating Investment Tool for Advancing Life Sciences), an AI-based system that makes investment recommendations about life sciences firms based on a review of industry data. “VITAL has helped us to become a better investment fund,” says DKV general partner Dmitry Kaminskiy. DKV appointed the AI system to its board in 2014 to help it make faster, more data-driven decisions about which companies hold the most promise and which ones have business plans that are less realistic. “We didn’t have the time required to do all the research and develop an in-depth knowledge of every niche market,” Mr. Kaminskiy says. Now VITAL does that for them. Because most startups have little historical data, the AI system uses machine learning to scour thousands of data sources about other companies in the industry to identify which attributes cause them to have a higher or lower probability of success. Then the board compares those attributes to the startups they are considering. “The system shows us patterns that indicate gold-standard companies and where there might be red flags,” he says. For example, if a startup is spending most of its money on marketing rather than research or if it is totally focused on R&D but has no business development expertise, these could indicate the business plan or executive team is not poised for success. —Yusuf Azizullah, founder and CEO, Global Board Advisors Corp.
VITAL reviews every potential company based on a set of predefined parameters. If there are a number of discrepancies, the board is more likely to pass. “It allows us to get past the hype about a company when making decisions,” Mr. Kaminskiy says. While not every company is ready to add AI to its board just yet, VITAL is a great example of how board members can benefit from analytics tools that can rapidly assess a marketplace or business scenario and provide insights to inform decision-making. In an era when board members often need to understand the market dynamics of multiple global competitors and industries when making decisions, such insights are critical. 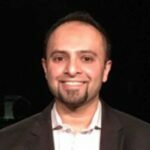 Yet the use of such analytics tools is just the next step in an ongoing process, says Yusuf Azizullah, founder and CEO of Global Board Advisors Corp. in Washington, D.C. 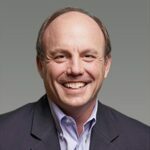 The evolution to a technology-enabled boardroom has been occurring since the 1990s, back when “quarterly meetings were still conducted with stacks of papers and slide presentations,” he says. Board members eventually started using iPads rather than paper to review information, and file-sharing services to share it. Then companies began building portals to support more secure document sharing and electronic communication of valuable corporate information. “The move to communication technologies and the use of analytics tools is the natural next step,” Mr. Azizullah says. “Board members have to recognize that these technologies are a force in the marketplace.” Bringing technology into the boardroom not only supports decision-making in a global marketplace; it also makes it easier to build the strongest board possible from a global pool of experts—who may not have the time to fly in for quarterly meetings but can easily connect via virtual technology. “So many employees work virtually, and the same can be true for board members,” he says. As technology progresses, Mr. Azizullah only sees this practice becoming easier and more prevalent. For example, when he recently invited a top Brazilian CEO onto the board of a large Australian company, the executive initially had to decline because of the travel that would be required. But he changed his mind when the Australian company suggested he holoport to board meetings. “Using 3-D cameras, Microsoft has developed an innovative technology that can virtually holoport an individual in real time, thus allowing face-to-face interaction for individuals thousands of miles apart,” Mr. Azizullah wrote for the World Economic Forum. Adopting these transformative technologies is not something that will—or should—happen overnight. It is a process that requires a culture change, especially in more traditional organizations where technological advancement has not always been the central focus. To spur that change, Nic Smith, a global vice president at SAP, recommends using technology in parallel with other strategies and then comparing the results. For example, a board might use predictive analytics to project market trends or demographic sentiment, then review the results a year later to determine whether the insights were accurate and added value. It is best to build these pilots around growth aspects of the business rather than around risk, he adds. “When you are trying to drive culture change, it is always better to focus on the positive than the negative,” says Mr. Smith, whose organization created the boardroom sharing and collaboration tool SAP Digital Boardroom.